Another minimalist post again this week due to a family emergency. My posts will be a little bare-bones for the next couple of weeks, so bear with me. Since Saturday fell just before the end of the month, I haven’t captured the big 2%-3% drop that took place on October 1st. 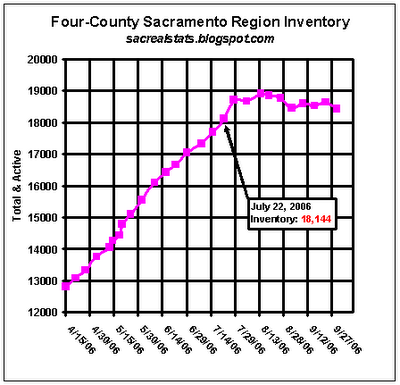 I expect inventory levels will slowly decline until at least January. 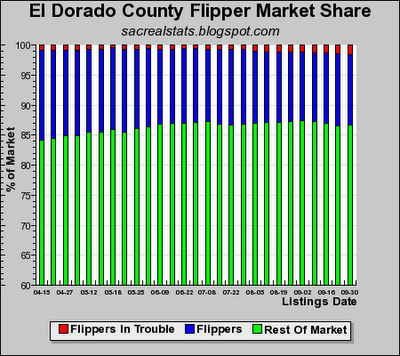 Say, how do you determine a flipper in "trouble" or "pre-forclosure" - what kind of indicators tell you this? I believe Max uses a system that sorts out any listed house that has sold in the last 24 months and is currently listed for resale. 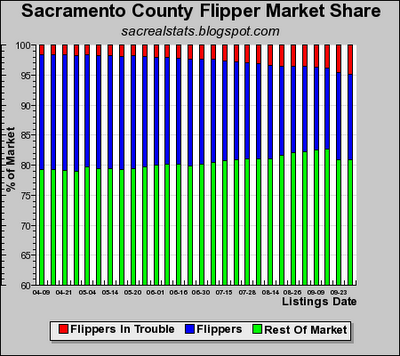 A FIT (flipper in trouble) is one that has LISTED the property for LESS than the original purchase price. 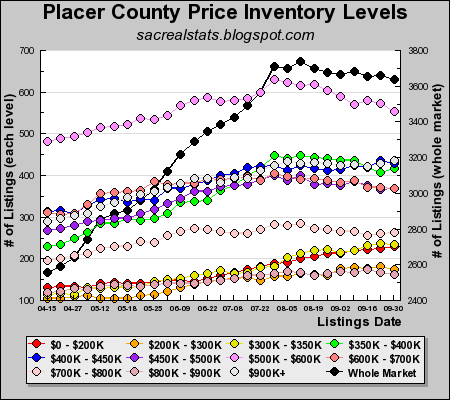 I feel Max is being overly conservative, because there are many, many FITS in Placer County for example, who are continuing to list their homes for more than they paid and more than the market will bear. 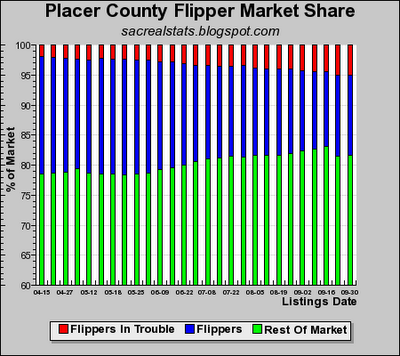 While Max' stats show 25% of the flippers in Placer to be upside down FITS, I would suggest that it is more like 50% +. Also, Max does not take into account the selling costs or the holding costs. So you see, he could really broaden the variables and show an even more imbalanced market. But over time, the actual sales numbers will do that for us all. I agree that anyone who's looking to sell within the first year would be lucky to not loose any money with selling costs. Real estate investments have rarely been short term with the exception of the past year or so, unless significant improvements are made to the property to justify. JR, Max....What do you think about the 10 week plateau of inventory? Max, have you thought about showing the actual quantity or "pending" sales? 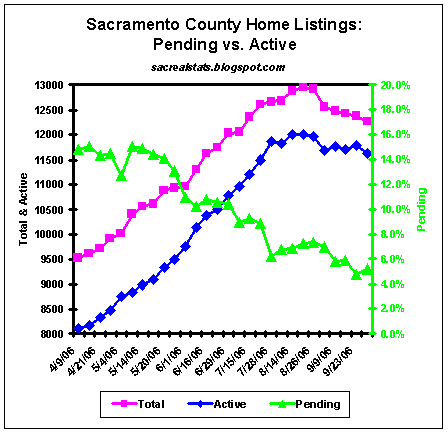 real activity, instead of a derivitive % of inventory? Yes, I would like to see the absolute pending sale nunbers, too, along with cancelled pending sales, if that is available. The months of standing inventory can be so volitile, because the data works both ends of the equation. Anon 5:45, I think the plateau is to be expected this time of year. Normally it is in decline (except in 2005, as investors piled on). The next real test for this market will occur in March & April 2007. There will not be much more "definitive" news until then. Only conjecture. 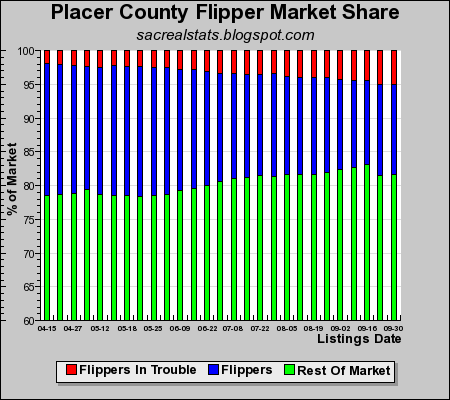 I remember writing an offer to buy a house last October, thinking it was a good time to buy with the market softness in late 2005. It was not accepted, so I decided to wait 90 days, because the builder incentives were just starting to get substantial. 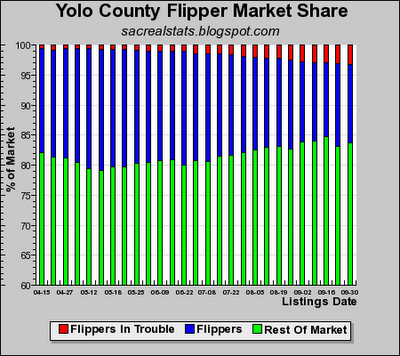 Every 90 days, I saw the market softening some more and would vow to wait another 90 days. Now, I just invested all my liquid cash into 9 month T-bills, to keep me from moving on ANYTHING thru next summer. There are better and better deals available every day. It makes no sense for me to move quickly on anything, when I stand to possibly reap another $100,000 in "value" for every year I wait. When someone like Moody's is telling me prices will trough in 2008, I listen. There is zero risk in this strategy, because there is no chance real estate is suddenly going to turn, take off and start appreciating. That ship has sailed for 5 years. 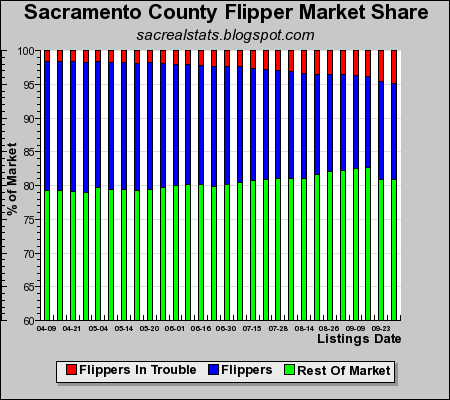 And oh yes, that home I almost bought in October 2005 is still listed for sale....at a 23% price reduction! "Jack is that you? You want to give me one of your houses and throw in a Hummer also? Hmmm...let me think...how 'bout 2 its a big garage. 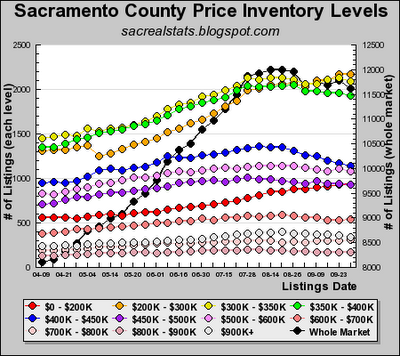 Maybe have one of your prettiest sales gals come around and do housekeeping as they’re not that busy...."
Look at the Sac Bee real estate adds which came today, Oct. 7. 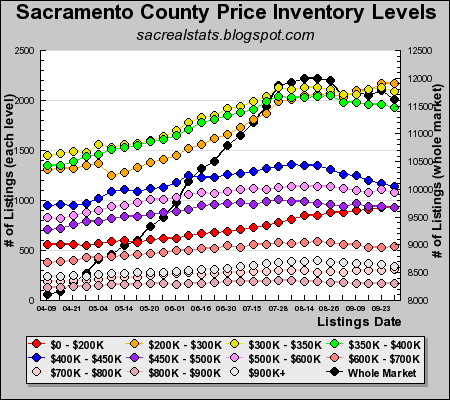 It is funny about JTS claiming they will be raising prices in a month. 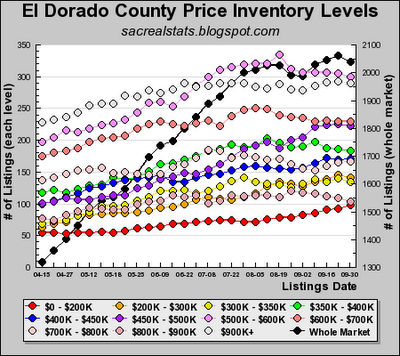 Today they actually listed asking prices for 6 of the 40+/- homes they still own in Lincoln. 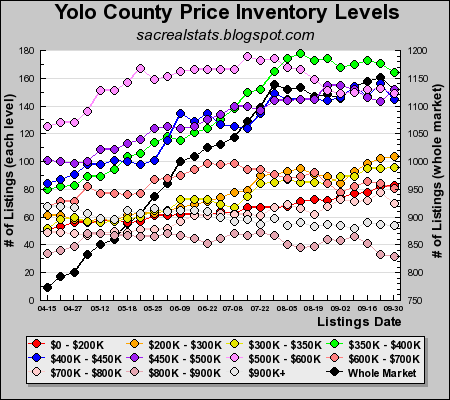 We looked at lot #14 about 60 days ago and the salesperson offered it to us for $492,000. Today, it is listed at a liquidation price of $502,000. Of course they will pay a 4% commission now, to any Realtor that can drag you in. So you see, they really are raising their prices. Of course they tell you they are lowering them. So if they claim they will raise them at the end of Oct. does that mean they will really lower them more when it gets to Nov. 1?